Dockers is a company that was first introduced to the world in 1986. They are the first company to introduce genuine khakis and the related accessories to wear with them. They also manufacture footwear for both men and women focusing on quality as well as providing the customer with versatile products essential for making a fashion statement. The year 1992 marked the stepping stone for the company as Genesco Inc. It started its operations to market and manufacture products for the Dockers brand after obtaining a license from Levi Strauss. Their whole operation is standing strong due to their constant commitment to performance and style. The company is known for their huge range of products and sizes available for the convenience of the customers. The uniqueness of the company is that they are also offering selective shoes and styles in the size 17, quite rare and unique indeed! The company is based in Nashville and is a specialty retailer that deals with footwear, accessories, headwear and sports apparel. They have an extensive network of retail outlets scattered all throughout the United States, Canada and the United Kingdom with a retail chain of about 2,400 brick and mortar selling points. They even partnered up with some online retail giants for extending their reach to the world population. The Endow range of dress shoes from Dockers is a sophisticated yet classic dress shoe that can go easily with any formal wear or tailored outfit for the modern gentleman. The squared toe modern design complemented by the leathered overlays adds to the appeal due to the stylish and crisp look. The padded collar and comfortable footbed will keep your feet comfortable even for extended hours at the office. All of the shoes offered from Dockers are known for their added features and patented technology. They offer extensive comfort and ease of maintenance to the customers. The All Motion Comfort is a patented technology from the house of Dockers. This technology is known to give the customer with the extensive cushioning feel for ultimate comfort. This is possible due to the specially designed outsole that offers add-on flexibility factor to the shoe. Combined with that, the specially designed and padded footbed adds to the comfort feel. The quality of the upper surface of the shoes is manufactured from specially treated soft and tanned leather for comfort and flexible feel. The overall lightweight feel of the Dockers shoes is due to their patented Flyweight Technology. This technology makes sure that the footbed is made from special Fusion technology coupled with memory foam that ensures extra comfortable fit and feels for extended hours of use. The patented Fusion Footbed technology from the house of Dockers incorporates dual padding in the shoe inserts where an extra layer of memory foam is used for adding to the comfort factor of the shoe. The soles of the shoes are designed and manufactured using the SureGrip patented technology of Dockers. This makes the shoes slip resistant on any environmental conditions. The soles meet the ASTM 1677-96 standards for anti-skid properties. The shoes are equipped with advanced water based stain resistant feature due to the incorporation of Dockers patented Stain Defender Technology. This also ensures that the overall maintenance and care of the shoes is a walk in the park. The shoes are designed in a way that they are more accommodating to the customer’s feet ensuring a relaxed and roomy fit. The collar section of the shoes is given an extra layer of padding and is concealed beneath the lining of the shoe that provides comfort to the customer. The shoes are manufactured without the use of any metal parts or metallic inserts that ensure that you won’t be frisked extensively at the airport, during your next business trip. How does this product serve your needs? This dress shoe from the house of Dockers is made from full grain, soft leather that is elegantly designed in an updated and contemporary style. The shoes are made resistant to water by lining the sock lining section with EVA and heel inserts made from gel. These feather-light shoes are manufactured with utmost care and equipped with patented All Motion Comfort technology that provides remarkable flexibility and comfortable cushioning factor. How is the product better compared to other competitors? 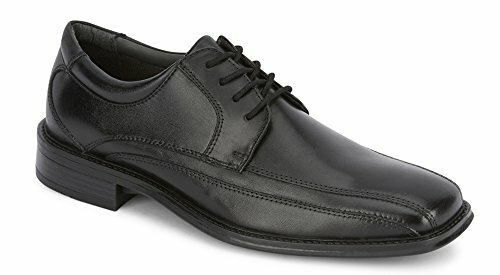 Dockers Men’s Endow Lace-Up Oxford sports a retro look all the while equipped with technology and features sophisticated enough to provide the ultimate comfort and convenience to the customer. The elegant and sleek style of the shoes makes this product truly a versatile one that can pair perfectly with any tuxedo, dinner jacket or a custom tailored suit. Even when the elements are against you, this perfect pair of shoes will be carrying out its duty to provide you with the professional look all the while keeping your feet dry. The leather is treated in a manner that it is resistant to water during the rains. The perfectly breathable design of the shoes allows you to wear this pair of elegant looking and technologically advanced pair of dress shoes for extended hours. 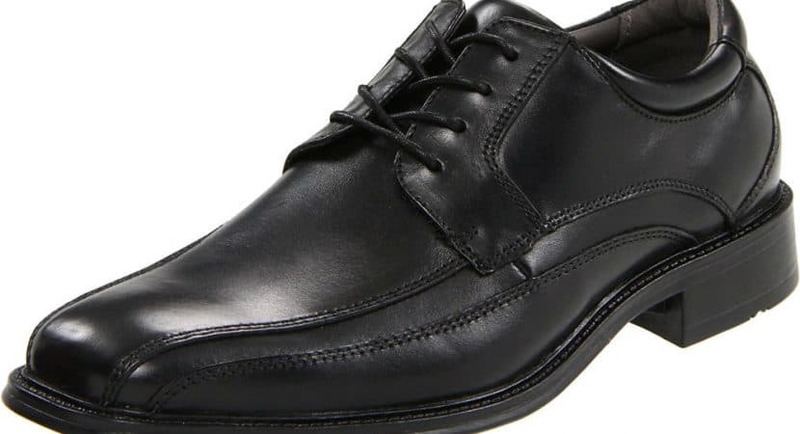 If a comparison is made between this product with that of the Bostonian Men’s Ipswich Lace-Up Oxford Shoe, the first thing that one would see is that the product lacks all sorts of technological advancements and features that are present in the one offered from Dockers. On top of that Dockers offers their products at a much more reasonable price than that of the one from Bostonian. Dockers oxford shoes are assured in terms of quality and product satisfaction. The company is known for their remarkable customer satisfaction records and quality of products. The retro yet timeless looks of the Endow range of men's dress shoes from Dockers will keep your look and feel good for years to come.